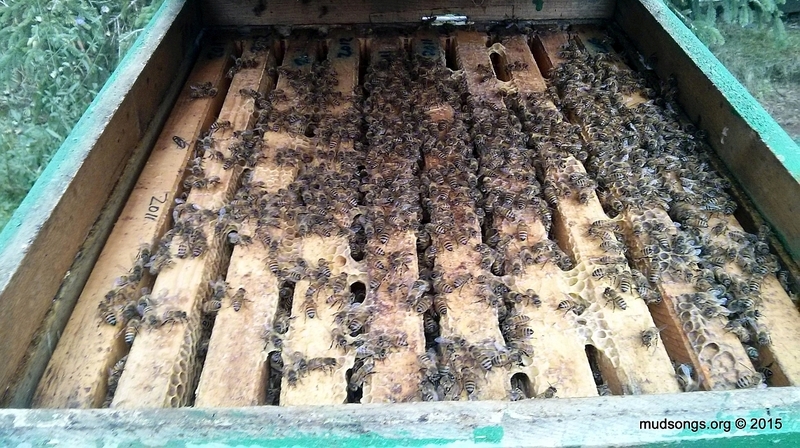 As of today, I’m beginning to reconsider how I do my first hive inspection of the year. I like to reverse the hive (i.e., move the brood nest to the bottom), but next year if I find all the bees are contained in a single deep (which is often the case), instead of moving the bees to the bottom and putting another deep on top, I might move the bees to the bottom and leave the hive like that — as a single-deep hive. It shouldn’t be a problem as long as the bees have enough honey and the queen has some room to lay. Bees that are confined to a smaller space supposedly work that space faster and better than they would if there was more space (e.g., if there was a full deep on top of them). Apparently, this is common knowledge for beekeepers who always have nucs on hand. The colonies in their nucs tend to build up quicker than those housed in full-sized deeps and hives. I say it’s common knowledge, but it’s not something I’ve had any experience with until today, sort of, possibly. A brood nest of a colony that I reduced to a single deep a few weeks ago (instead of reversing it) is expanding at least twice as fast as the brood nest in my other colonies that were reversed. It could just mean I have a better queen in the single-deep colony. Or! Maybe the bees in that single-deep hive did better because they were able to concentrate on the limited space they had instead of spreading out their efforts across twice as much space. I don’t know. But next year when I do my first hive inspection of the year, instead of reversing the hive, if the bees are in a single deep, I’ll reduce the hive to that single deep until the brood nest is ready to expand into a second deep. March 2019 Postscript: This is pretty much what I do all the time now. 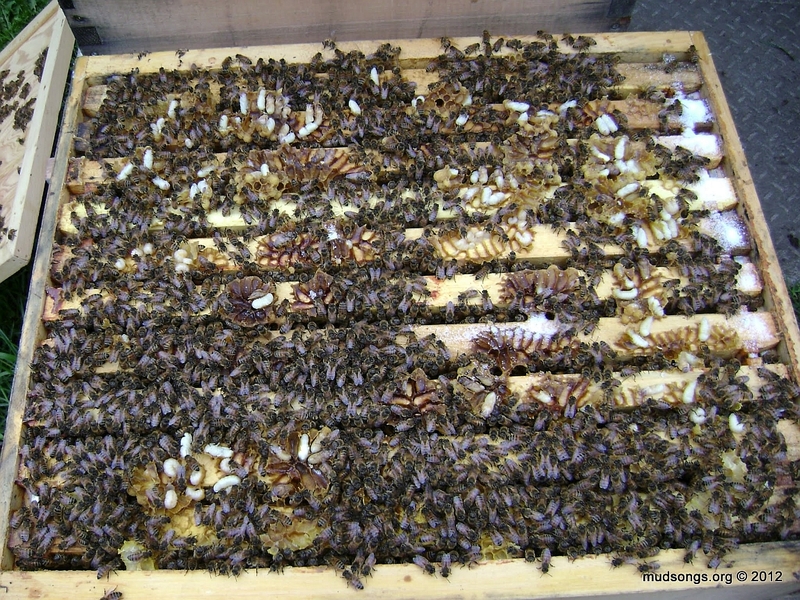 If the bees are contained in a single deep during the first hive inspection of the year (sometime in April if I’m lucky) and I don’t see bees on all 10 frames yet, I’ll toss the second (or even third) deep and let the bees expand into that single deep before I add a second deep. Like I said, that’s pretty much how I play it these days. A colony with only 3 or 4 frames of bees seems to build up faster when it only has 6 or 7 extra frames to work on instead of 16 or 17 frames. It seems to make sense when I stop and think about it.